James Suckling ReviewRated 92Aromas of dried meats, dried fruits and dried flowers follow through to a full body, juicy tannins and a ripe-fruit finish. Very soft and delicious. Drink now.Wine Enthusiast ReviewRated 91Aromas of black currant, blue flower, tilled soil, menthol and cedar take center stage. The dense palate delivers mature black cherry, crushed raspberry, mocha, vanilla, nutmeg and a confectionery note. Velvety tannins provide the framework. 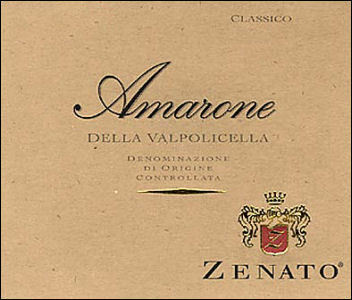 Drink through 2022.Wine Spectator ReviewRated 91There's lovely balance to this creamy Amarone, with delicate spice and orange zest accents enlivening the flavors of black cherry puree, dried lavender, date and mineral. Well-knit tannins provide a supple frame. A crowd-pleaser. Drink now through 2026.Wine Tasting NotesAmarone, the small jewel in our product line, is rightly considered the king of Veronas wines, produced from the best grapes of the Valpolicella Classic area, carefully selected and dried in trays. Showing deep ruby red, it releases intense aromas laden with rich spice and dried fruit; in the mouth it is a wine of superb richness and majestic flavors.